Check on What You Missed on Today’s Grammys Award! The most awaited award for the music industry is arriving tonight, February 10th in Los Angeles, United States of America. Featuring a long list performers and attendances, this year’s Grammys is making another groundbreaking performance of the year. Just like other award shows, Grammys last for a quiet long time, from the red carpet all the way to the last winner announcement, however it didn’t make the nominees and the guests are dead bored of the show, as there are so many deadly performances worth waiting for. Live from another part of the world, many of you might have missed most part of the shows, but worry no more cause we’re here collecting the best moments for you to see! Kicking off the show with her high-note and theatrical stage performance, Camilla brings her most favored song, Havana. Bringing another best stage of hers, she’s taking her Havana with Ricky Martin, J Balvin, and Arturo Sandoval with such a strong vocals as if it’s a recorded voice. Camilla is definitely opened the show with a pure joy and excitement. After winning the Best Pop Duo/ Group Performance, for Shallow, Gaga made Cooper sure that she brought the best out of herself for its performance. Although it’s definitely not her first grammy, but it is for her partner, Bradley Cooper whom she acted together with in A Star is Born. 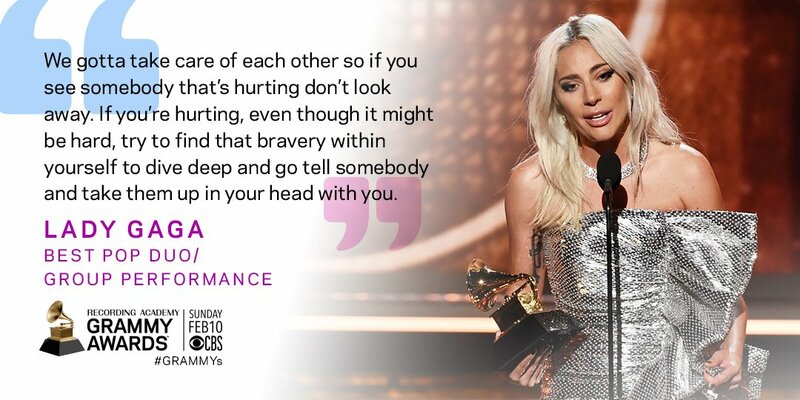 Before performing the song, Gaga mentioned her delightfulness for taking part in a movie that is talking about the importance of the mind health. Wearing a sparkling silvery outfits with a pair of matching boots, for the performance Gaga reunited with collaborator, producer and songwriter Mark Ronson, who was one of her guitarists. He had written part of the soundtrack to A Star Is Born and also co-produced Gaga’s 2016 album Joanne. 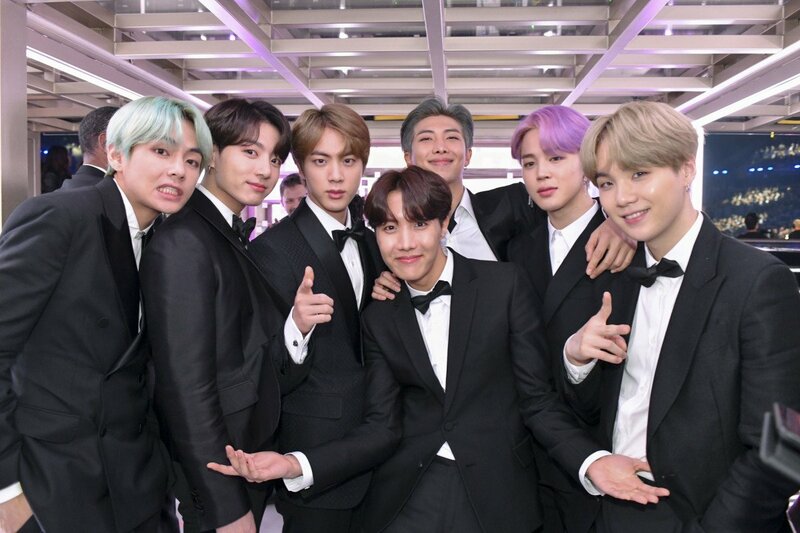 Flew 10k kilometers from hometown, BTS arrived at the LAX just yesterday to come and make their debut appearance in the Grammy awards. Coming in full outfits of the most well-known designer from South Korea, Kim Seoryeong, BTS sure took so much flashlights just for themselves. During their interview with Ryan Saecrest the kings of KPop telling the fans how grateful they are to be there and the power of army to flew them to one of their biggest goals, Grammys. 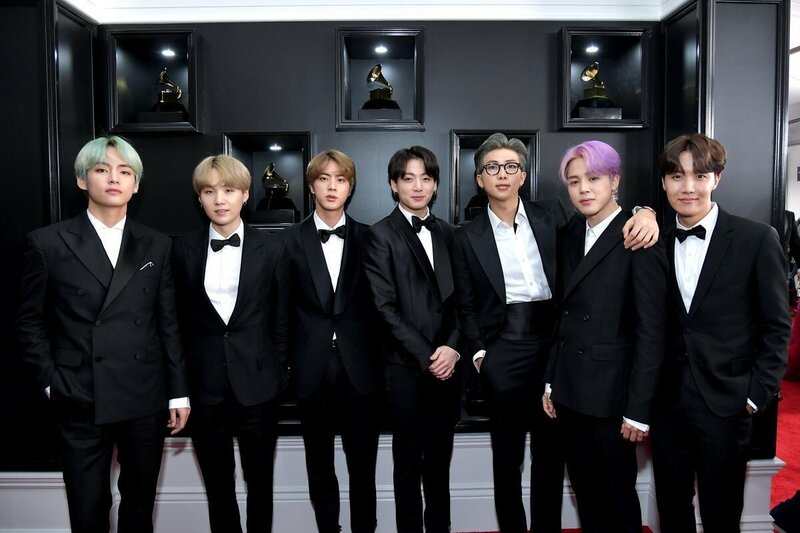 BTS has become the first Kpop artists to ever present the award in the Grammys history, they gave the award for the best R&B Album which was won by H.E.R, one of their favorite American artists! So happy for both H.E.R and BTS! The mother of one beautiful daughter, Kulture, Cardi B thanking her daughter for her Best Rap Album award at the Grammys tonight. 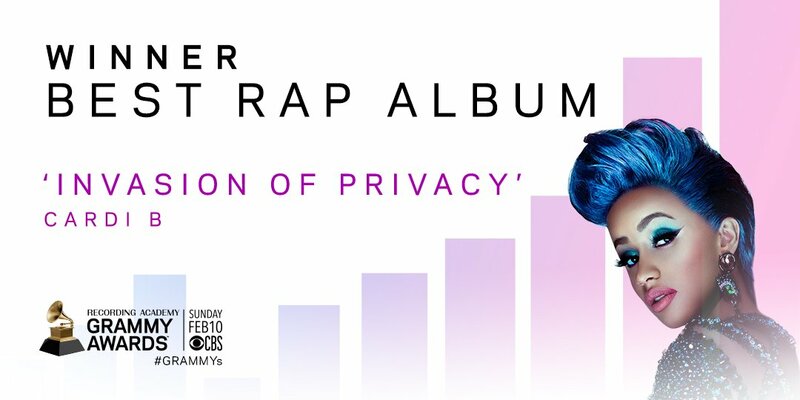 She was joined onstage by her rapper beau Offset, who held her hand as she held back tears (and took some well-deserved deep breaths) while thanking those who made her debut album, Invasion of Privacy, a work of art. The 26-year-old welcomed her and Offset’s first child together in July 2018. In the months leading up to her due date, Cardi continued to perform and promote Invasion of Privacy, which debuted at No. 1 on the charts. 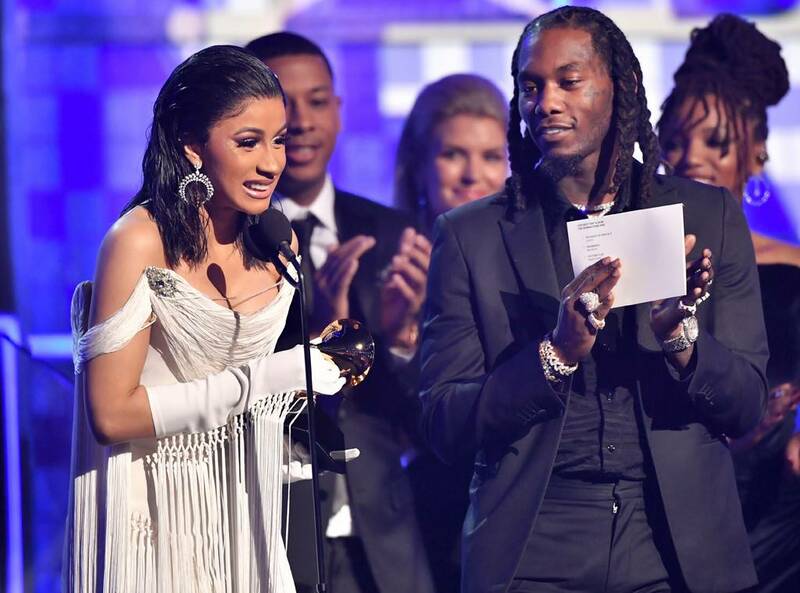 During her acceptance speech, the full of tears Cardi also mentioned Offset and revealed what he told when she found out about her pregnancy in the midst of her rising star power. This marks the hip-hop superstar’s first Grammy win and seventh nomination. She also makes Grammy history as the first female solo winner to take home Best Rap Album. As for the beautiful woman from the Great Britain, Dua Lipa, she was gasped in tears when she was announced winning the Best New Artist. It’s her second win of the night after her Electricity won the Best ance Recording, her track with Silk City aka Diplo and Mark Ronson. This is Lipa’s first ever winning in the Grammys and definitely won’t be her last considering how amazing her works are. She thanked the fans and her team for making her standing on the stage and appreciating the meaning of her songs,which are self-beliefs. She stressed that no one should be halted by their background, or their stories to dream big cause everyone is special and deserves to achieve their dreams. So congratulations for all the winners and thank you for the wonderful performances we got to witness tonight, and shall we see each other again on the next Grammys Awards. Ciao!